Plan file cabinet dividers are used for vertical plan filing cabinets. They are also used with mobile plan storage holders to assist with indexing, identification and quick retrieval of large plans. 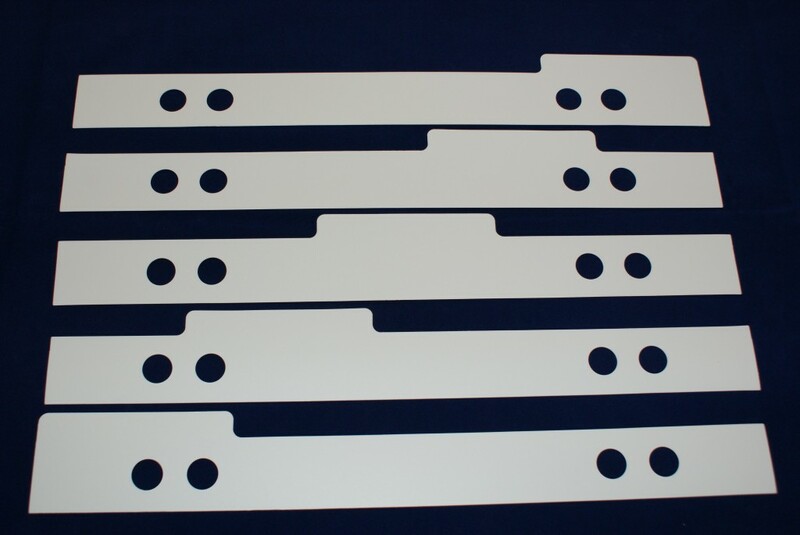 The cabinet dividers come with or without tags and are available in multiple sizes, such as A1, B1 and A0. We produce plan file cabinet dividers to either sizes that match our suspension tapes or we can manufacture to your very own bespoke design and size. The dividers can be sent worldwide, so please do contact us to place your order. Our team have over 25 years experience in manufacturing Plan File Systems and accessories from our factory based in Alton, near Guildford. Remember, we also deal with PFS suspension tapes and wallets, aswell as a large range of polypropylene items such as presentation folders, ring binders and point of sale items.